Tree: We are now proud to offer our new Sawbuck trees made here in our shop. We have been working with Lee Roeser of Independence CA to develop a quality tree for our sawbucks. Lee has packed hundreds of animals over the years in his own business and working for the Forest Service. 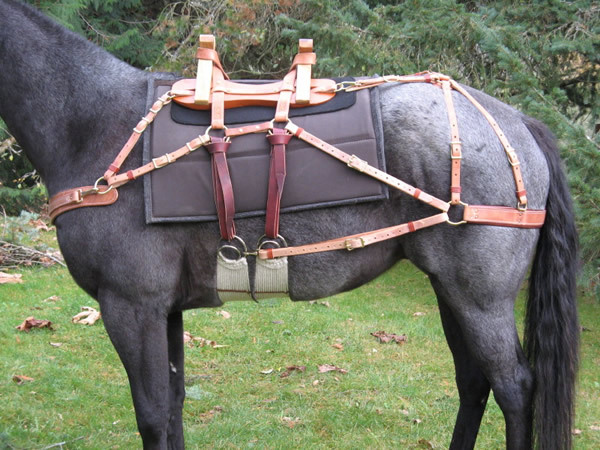 We have worked from bar patterns that he has found to work well for him on a variety of animals. The crossbucks are white oak and the bars are poplar. The crossbucks are attached to the bars with stainless steel bolts and countersunk T-nuts, which allows for rasping the bars if needed to perfect the fit. These bars have a little more flare than most sawbucks which allows for a better fit on more animals. 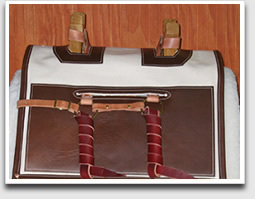 Hardware: All hardware is solid brass, no plated hardware to rust and deteriorate the leather. 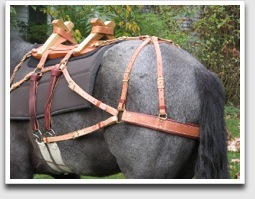 Our standard professional quality model has Conway style buckles on the hip drops and breast collar straps. We are careful to use the correct weight of leather and skive the ends to make these as easy to use as possible. We also offer all roller buckle adjustments as an option. Rigging: Our sawbucks are double rigged and include a double connected mohair blend cinch in offset 30/32 inch size. Breast collar: Our contoured breast collar provides a superior fit and prevents choking on uphill grades. 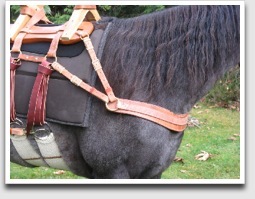 The breast collar is lined with latigo for extra sweat resistance. 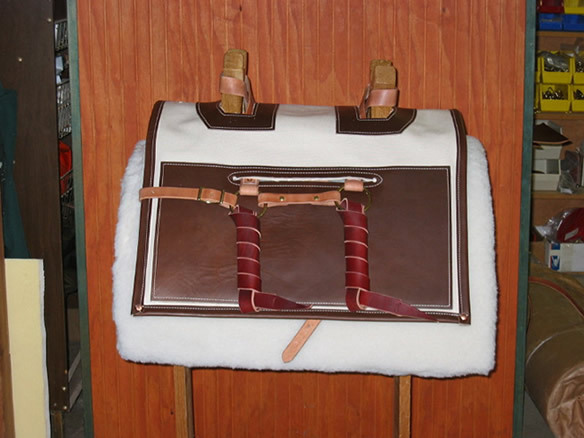 Britchen: Our britchen is lined with a rolled edge latigo lining to reduce chafing. The quarter straps have numbered holes for ease of adjustment. Adjustable Tree for Sawbuck: If you have animals that don't fit the traditional Decker bar, or need to use one pack saddle on a variety of different conformations the adjustable tree was developed to fill this need. 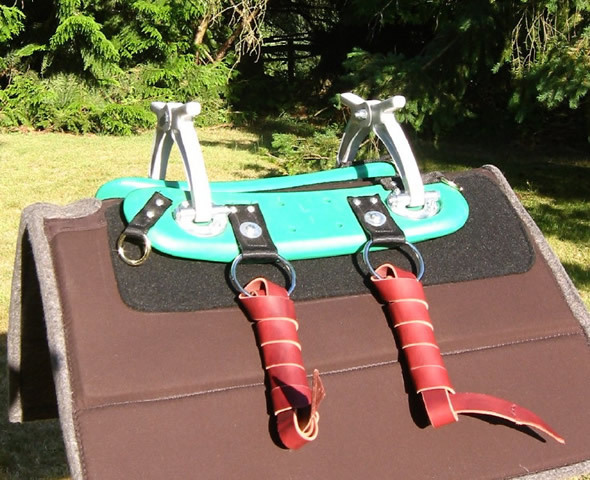 The bars are made of unbreakable ABS plastic and textured on the underside to help grip the saddle pad. 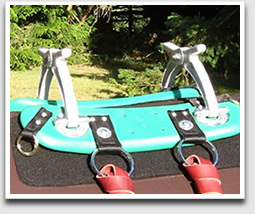 The bars float to automatically adjust to different angles of back. 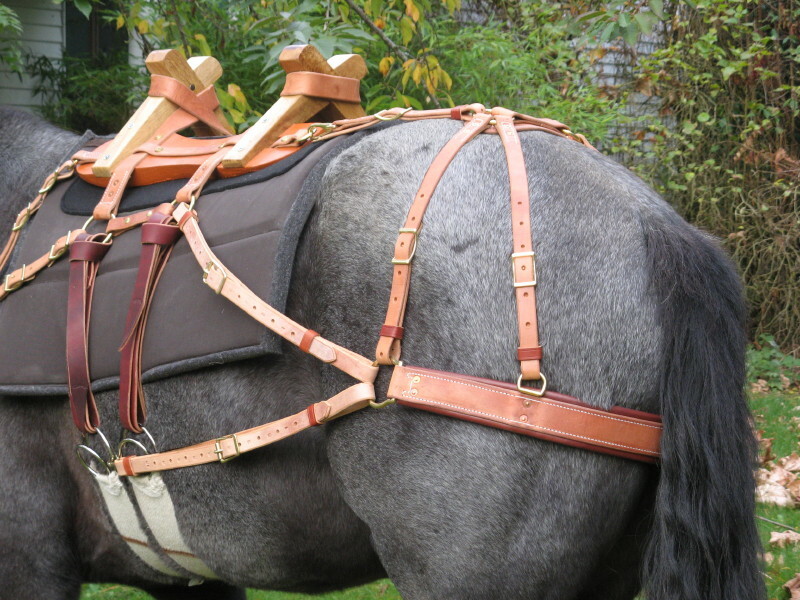 Two bar types are available, one is a flatter bar to fit more a mule type back, and a bar with more rocker which is more of a horse bar. We have it pictured with the most popular Sawbuck style arch, but there are some other options available if this one doesn't suit your needs. Just contact us and we can provide more information. 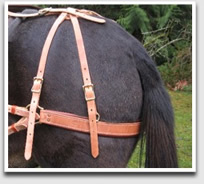 All Roller Buckle Adjustments: We do a good job of making the Conway buckles as easy to adjust as possible, but if you just plain hate them or need to be changing the pack saddle often from one animal to another you may want the roller buckle option. Half Breed for Sawbuck: Adding a half breed to your Sawbuck can help protect your animals sides from the load. Our new style can easily be added to your order or we can make one to fit a Sawbuck you already have. Give us a call and we can give you instructions on taking the proper measurements for an existing Sawbuck. 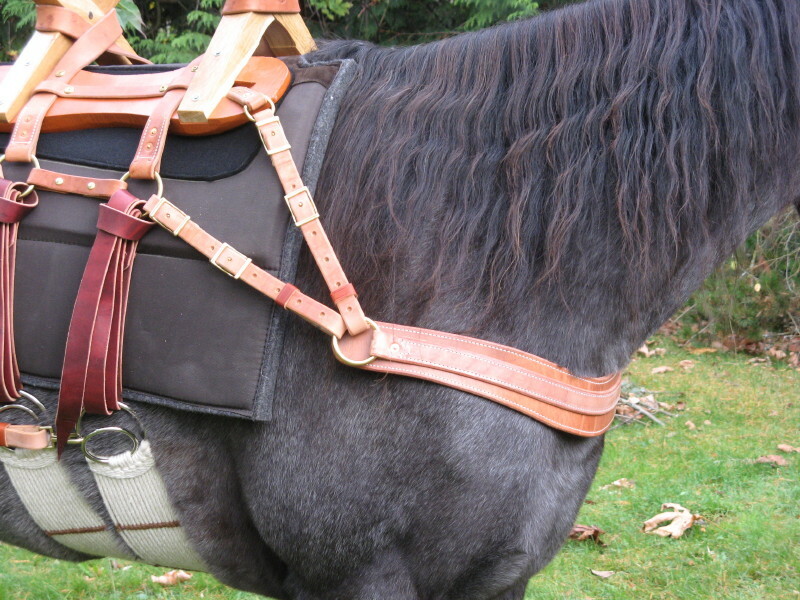 The Sawbuck is generally fitted with a leather side half breed.